eRevalue is a technology company that helps business executives stay on top of emerging economic, environmental, social and corporate governance (ESG) risks and opportunities. It is a London-based start-up combining tech, big data and sustainability to drive positive change. 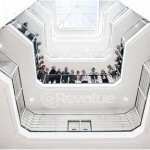 In less than two years, eRevalue grew from four to 28 people. While the initial focus was on developing its innovative, disruptive Datamaran service, it was time to start working together in a different way to increase focus on client needs. While the development required working within teams to deliver key building blocks of Datamaran, the next phase was all about collaborating to understand and meet clients’ needs at a deeper level. This transition required a shift in each of the teams’ gears and focus as they progressed toward the next phase of their company’s development. Change in Context created and led a half day workshop for all staff members, that started from everyone’s reasons to join eRevalue. Through a series of short plenary, sub-group and individual working sessions, we explored personal drivers for inspiration and growth and matched these with the reality of working for a new and fast-growing company. We then went into how these drivers supported or hindered teamwork and discussed ideas on how to leverage these insights. At the end of the morning, everyone translated these new insights into a recipe for success for their own and the company’s transition towards the next phase. 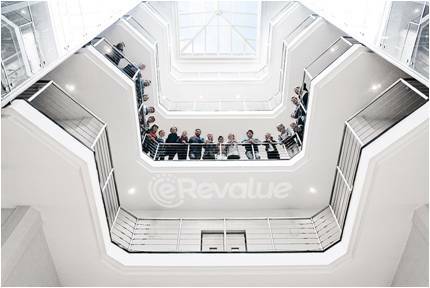 Over lunch, Change in Context’s Marjolein Baghuis could debrief eRevalue’s management team to highlight overall findings and offer strategic recommendations about how to further fuel individual growth and collaboration to create more (eRe)value for and with clients. This was very actionable. I feel ready for the busy months ahead. In just one morning, I learned a lot about myself, my colleagues and the reality of working in a fast-growing company. Very helpful. 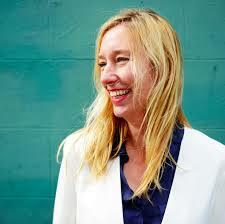 Marjolein’s way of leading the workshop was highly energetic and a lot of fun. We often speak with clients about breaking through internal silos, so it was a natural fit to consider this internally as we evolve as a company. Datamaran, our flagship data analytics platform, was truly built with a global market of end users; our clients have been core to its development from day one. As a fast-growing company, we need to continually lean on the diverse expertise of our team in order to take full advantage of the exciting opportunities ahead, to meet and exceed client needs. This workshop helped to bring it all together, allowing our team to step out of their day-to-day workflow and reflect on the bigger picture – individually and together.